Stairlift rental can be an ideal solution if you do not wish to buy a stairlift outright. We offer short or long term hire contracts on straight stairlifts only. If you only require it for a short period of time, renting a Stairlift can be a more practical and cost effective solution. At Somerset Stairlifts & Mobility we offer an all-inclusive Straight stairlift rental service – quick installation, all-inclusive call outs and repairs and when you no longer need it, the stairlift is taken away. This is all included in the rental fee. 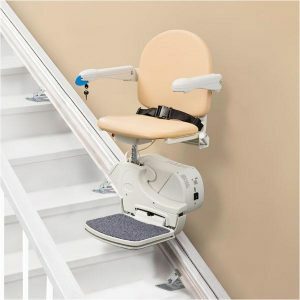 A Straight Stairlift can be installed for £600.00. This covers installation, subsequent removal and the first three months rental (£40.00 per month). Thereafter rental is £40.00 per month, payable in advance, preferably by Standing Order, until the lift is no longer required.